For the past three years, we have worked with Congressman Ami Bera on his annual Brain Health Forum. We appreciate Congressman Bera’s efforts to educate his constituents on important issues related to Alzheimer’s disease and brain health. 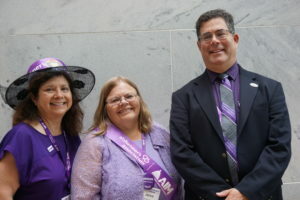 The Congressman has also supported important legislation, such the Palliative Care and Hospice Education and Training Act and increased funding for Alzheimer’s research. The focus of this year’s Brain Health Forum, held on September 20, was palliative care. Barbara Marquez is an Alzheimer’s Association volunteer, serving on our advocacy team for Congressman Bera’s district. She recently became a member of our Chapter Board. At the Forum, Barbara told her family’s story and talked about how palliative care could have helped her mother, Florence, when she was living with Alzheimer’s. We’d like to share Barbara’s remarks. I am here today to share a little about my own experience with Alzheimer’s, as a caregiver for my mother, Florence Marquez. My mom battled this disease for over ten years, a battle she eventually lost in January. Alzheimer’s killed her. It is the third leading cause of death in California. During the last five years I was my mom’s primary caregiver. As I look back, I am so glad that I was there for my mom. She had always been there for me and my siblings, the rest of our family and for so many others in our community. In the 1950s, my parents bought their home off of Story Road in East San Jose. Both served as strong community activists on many fronts. My father was an ordained deacon in the Roman Catholic Church. As the deacon’s wife, my mother worked in many capacities to help meet community needs. As an education advocate, Mom was elected as a trustee for the Mt. Pleasant School District. She served for many years and was a strong proponent of bilingual education. My mother picketed alongside César Chávez to support the United Farmworkers Union. She served as President/founding member of the Grail Development Corporation. They built a 35-unit affordable housing community in San Jose, complete with a licensed child care center and women’s center. 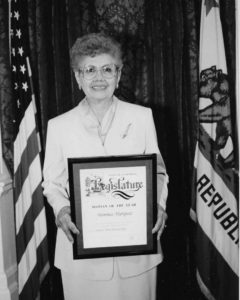 Because of these works and her many other accomplishments, Mom was recognized as legislative Women of the Year by former State Senator John Vasconcellos. Yes, my mother, Florence Marquez, was a bright, inspiring and giving light wherever she went. Her last years were tough. I vividly remember the many challenges of caregiving. It is a hard job. To my fellow caregivers in the audience, I am so glad that you are here. Please know that you are not alone. I hope that what you learn today about palliative care and other services will help you and your loved ones. There are so many things I wish that I had known and done differently along the 10 year journey. This disease is multi-faceted, with different and ever-changing symptoms appearing on many fronts. Alzheimer’s impacts daily living, along with physical, financial, emotional and behavioral health. There was so much to know and so much to do. I often felt overwhelmed and alone. I could only imagine how Mom felt. As I look back, I could have definitely used more help and support. I wish my mom had had a palliative care team – a multi-disciplinary team of medical professionals to support us throughout the course of the disease. 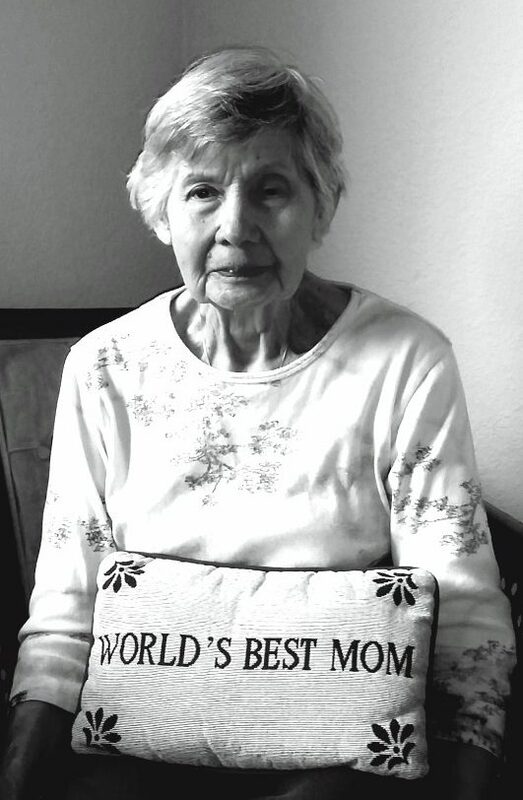 At the end of her life, Mom had a hospice team who were incredibly helpful. They were just a hair shy of being angels on earth. But what if she’d had a similar team to help her when she was living with Alzheimer’s during the other nine and a half years? What if she’d had a team to support the medical efforts for this incredibly complex chronic disease? What if they’d focused on helping her enjoy her family and the activities that brought her so much happiness? People often live with Alzheimer’s for several years. It would have been so helpful to have a team to support us throughout the course of the disease. I think of how a palliative team could have helped during some of the most frightening moments. One of those moments for us was when Mom was taken from her memory care day program to the emergency department (ED). She travelled alone by ambulance and was admitted to the ED without anyone being there to speak for her. I was out of town that day for another family emergency. I had the most tearful drive along Highways 5 and 50, rushing to the hospital. Mom was released within a few hours without any new diagnosis or treatment. Then there was Mom’s last trip to the ED. Again, she was taken alone by ambulance from her memory care community. She was alone during the admission process. While Mom was released within a few hours, it took her weeks to recover from that episode. My mother had a caring primary care doctor but there wasn’t a coordinated team effort to back up the doctor. It is challenging for one provider to address the ever-changing conditions associated with this complex chronic disease. Only so much can be done during a 15-minute visit. Additional support from a multi-disciplinary team is necessary to provide more patient-focused care, avoid unnecessary trips to the ED or hospital, and improve the quality of life of a person living with Alzheimer’s. As I look forward, my main message today is that you don’t need to feel alone. The doctor doesn’t need to be alone. Information and resources are available. I encourage you to reach out to the Alzheimer’s Association to learn more.